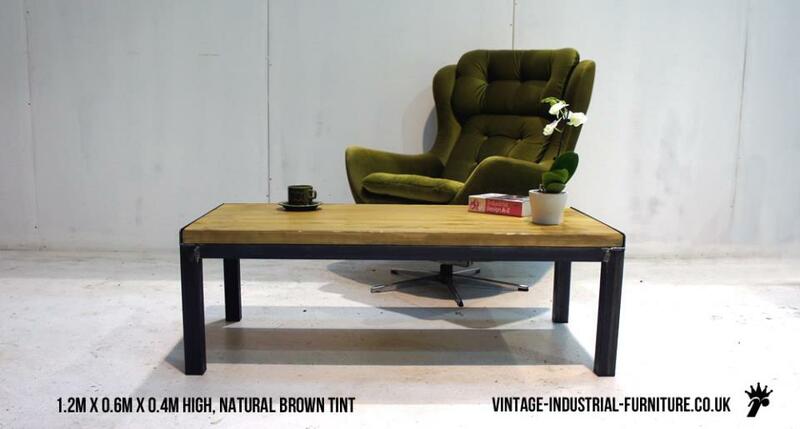 Made by us in Birmingham, this industrial coffee table has chunky angle metal legs and robust proportions. Available in several sizes and as a coffee table with a shelf. 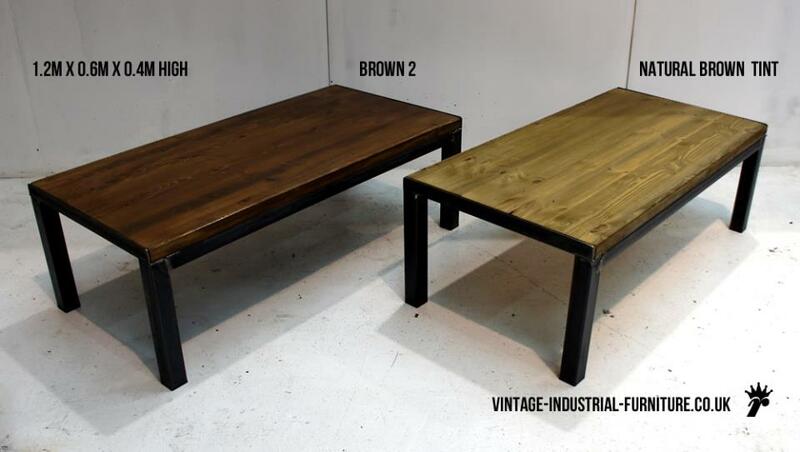 It is also available in solid oak - click here to see pictures and also marble. 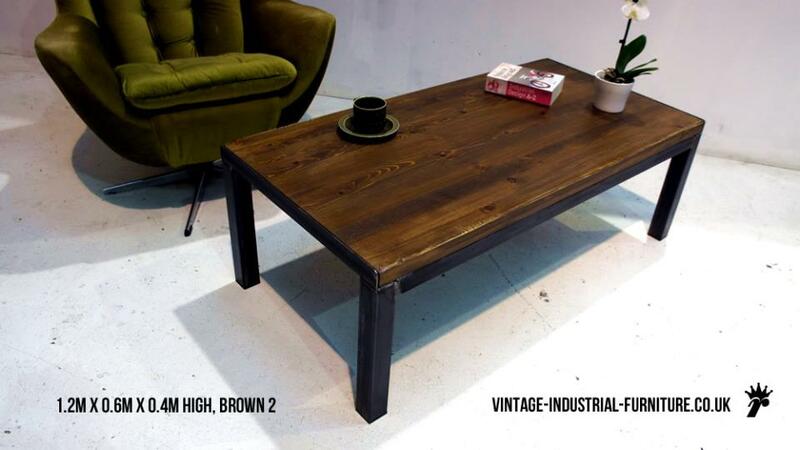 Sporting a reclaimed-style wood top, this industrial coffee table has an aged look whilst simultaneouly having crisp lines that look great when accompanied by contemporary decor. 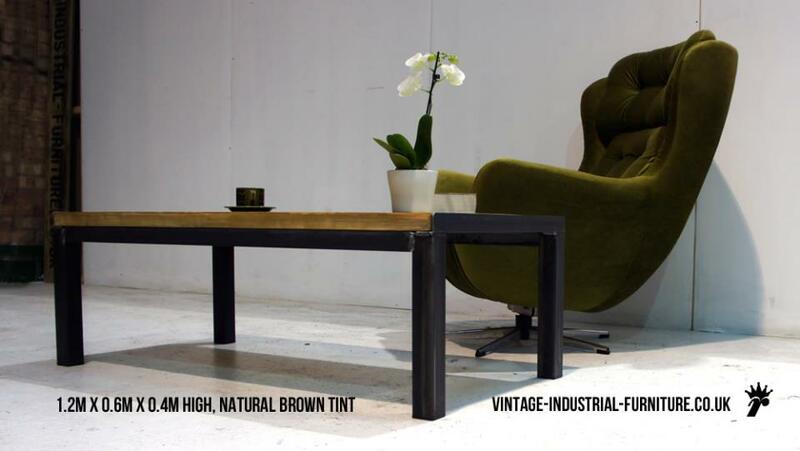 The images show this design with our "brown 2" colour and also in "natural brown tint". 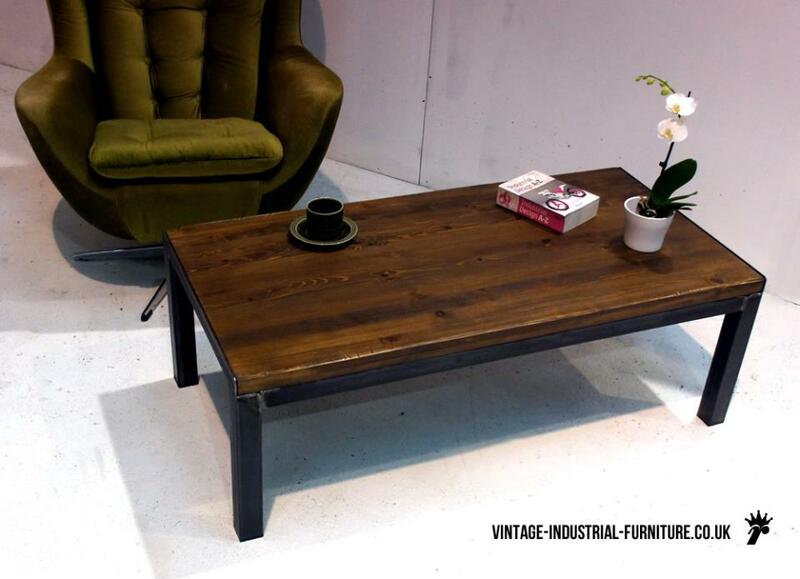 We think this industrial coffee table looks fabulous when set with a few vintage items.